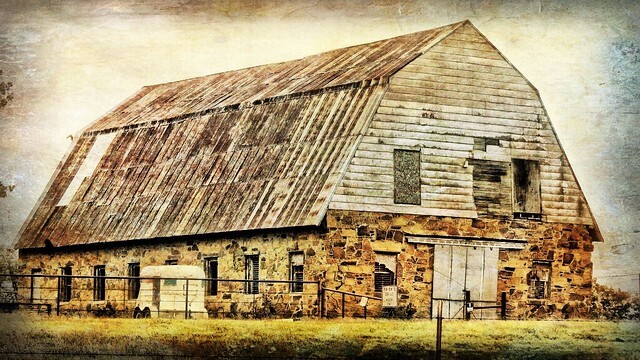 This is a barn in Osage County that I have passed a bunch of times on my way to Woolaroc, Pawhuska, or Osage Hills State Park. I think it is beautiful and appears to be reasonably well taken care of by whoever owns it. I’m sure that it is full of mice, snakes, bats. What barn isn’t? Earlier this month, my wife took me to her new place where she is going to teach Zumba classes. 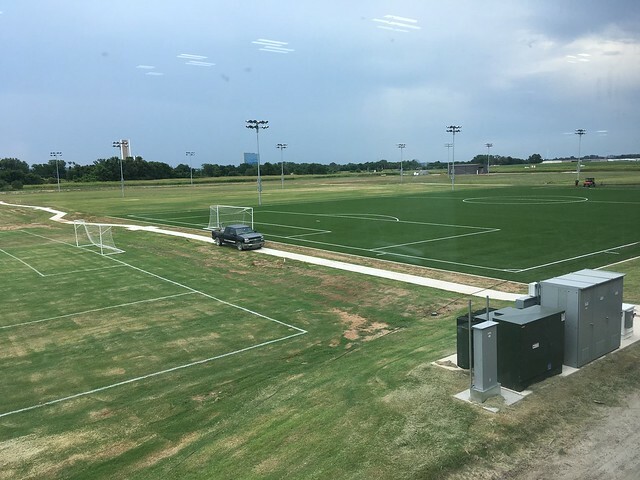 Titan Sports Performance Center in Jenks, OK. It is ginormous. 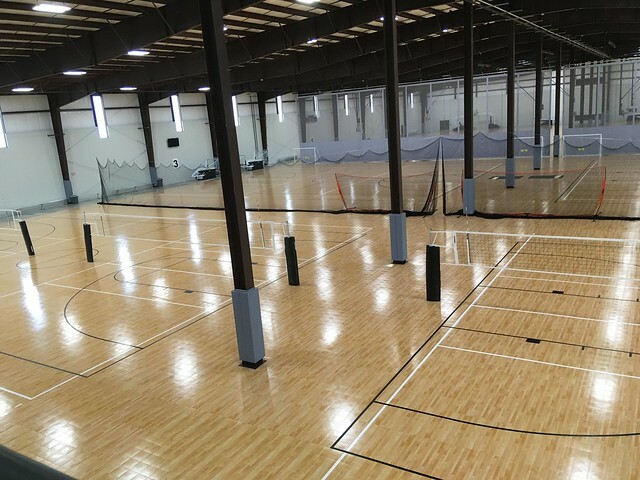 Lots of indoor volleyball and basketball courts, two indoor soccer fields, a Martial Arts Academy, a Sports Performance Center, and of course a huge space for Zumba and other exercise classes. Plus it has a bunch of outdoor soccer fields. It also has a huge area upstairs where parents can sit and watch their kids play or practice whatever sport they are in. I met her boss when I was there. Really, really nice guy. I told him it was a great facility and he did the karate of thing of putting his hands together and bowing to me. My yoga teacher does a similar thing at the end of her class. Puts her hands in “heart position” and says “Namaste.” I put my hands together but hadn’t yet said “Namaste.” I don’t know why. I’m a guy, and an engineer, and a Republican. I’m not sure I’m allowed to say such a thing. 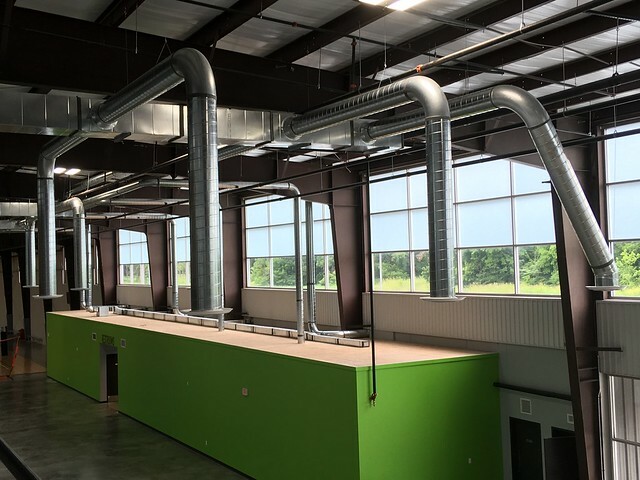 Look at all those air conditioning ducts. Don’t you know the electric meter about spins off the wall during a hot summer day. 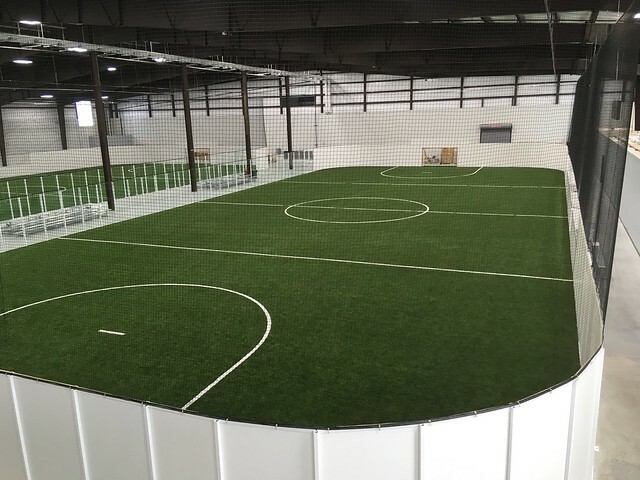 Here is one of the indoor soccer fields. It is all enclosed. Is that like some sort of Mad Max Thunderdome death cage kind of soccer they play in there or what? And acres of outdoor fields. 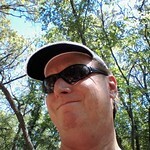 Out in the sun. The Health Club that we belong to has smoothies. 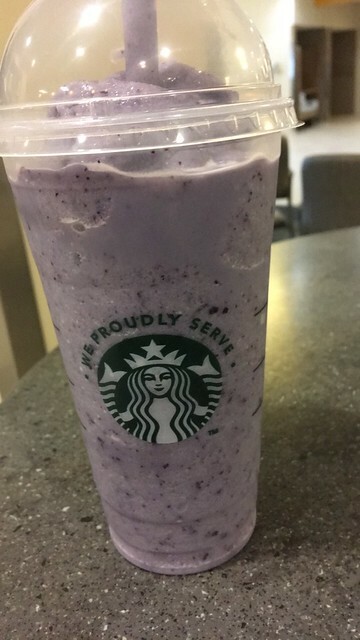 One day they had a blueberry smoothie on special so I signed up. It was just as good as it looks. Anyway, a wide ranging post today. I hope your day is going great. This entry was posted in Family and tagged Barns, Basketball, Gyms, Osage County, Smoothies, Soccer, Volleyball, Zumba on July 20, 2018 by Alan Bates. Sunday evening I went downtown and watch the the second round of games of the NCAA Mens Basketball Tournament, aka March Madness, at the BOK Center. There were lots of people with me. 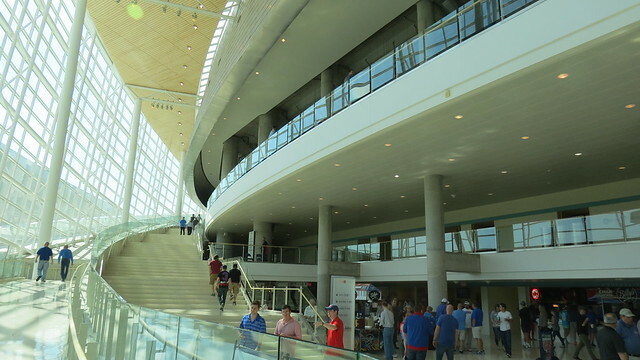 Lots of people there, most of them wearing the blue of the University of Kansas Jayhawks. I am not sure if there is an actual bird named a jayhawk but it doesn’t matter. 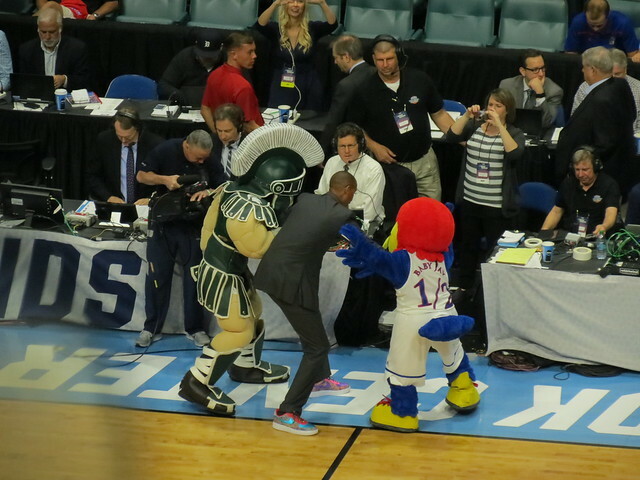 The Jayhawks of Kansas were playing the Spartans of Michigan State University. 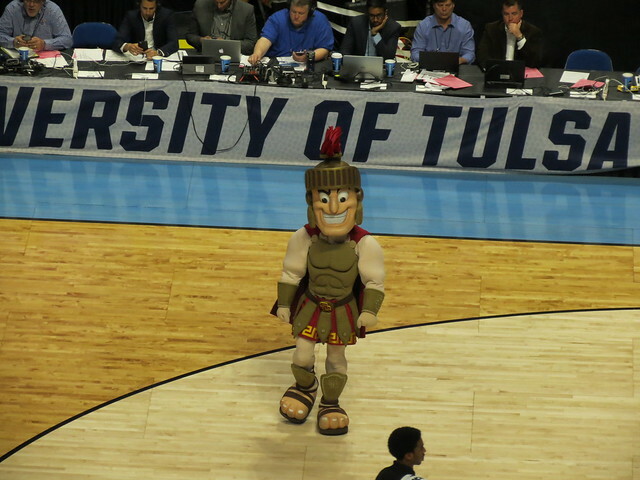 Their mascots had a little mock battle that was amusing. Sorry for the fuzzy photos. I was sitting in the cheap seats way up high so I was doing the best I could. The game was very competitive for the first 30 minutes or so. Kansas couldn’t quite put Michigan State away until then but then they broke loose and ended up beating the the Spartans 90-70. It was a good game. Both teams were were well coached and played well. I like how the college game has evolved from the dreadful boringness of the 70’s with the four corner offense and the excrutiating final minutes of a game where the teams fouled each other. 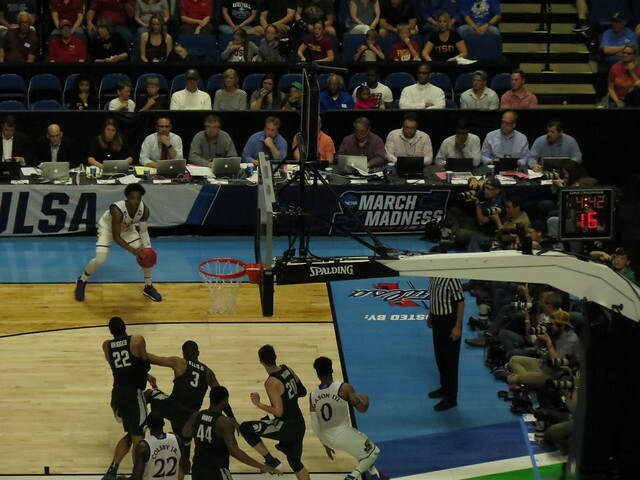 The shot clock and other rule changes have really breathed live into the college game again. Also, I was impressed with how well coached the teams were and the discipline displayed by the players. They seem less upset with questionable fouls now. They just deal with it. The second game was another good one between two fine teams. 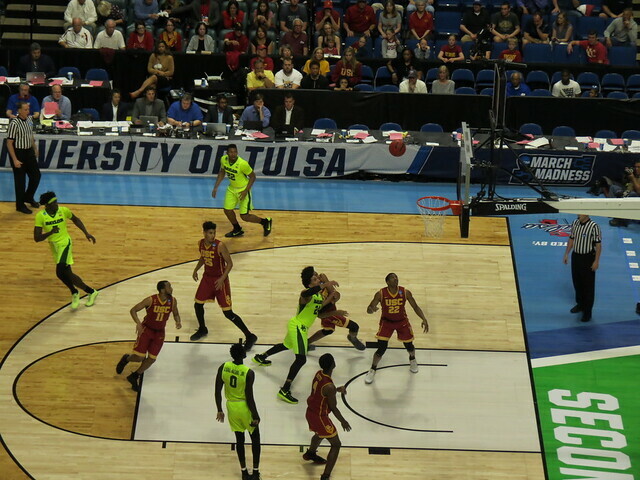 The University of Southern California Trojans and the Baylor Bears of Texas. 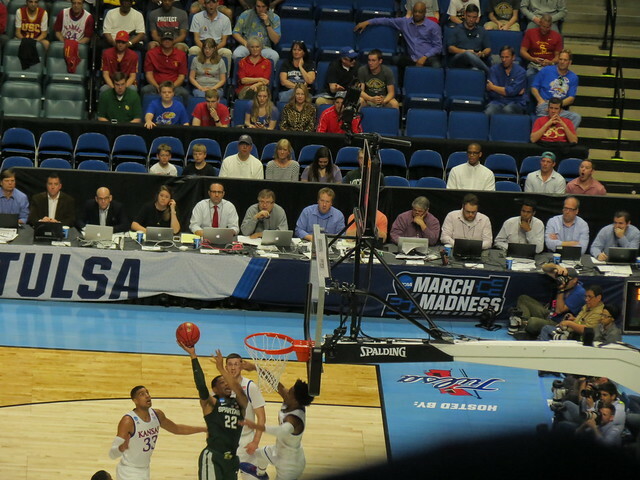 The game went down to the wire and Baylor won 82-78. 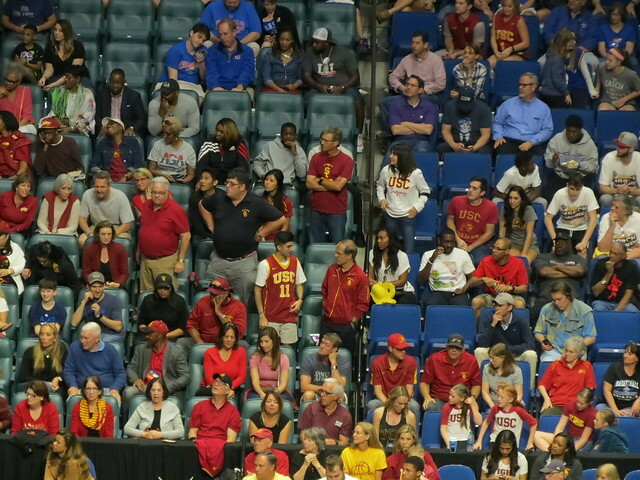 USC brought 12 fans to Tulsa to cheer the team on. Go ahead count’em, let me know what you come up with. They also brought some cheer leaders. They had the smallest pom-poms I’ve ever seen. All the cheerleaders were very nice looking and energetic. 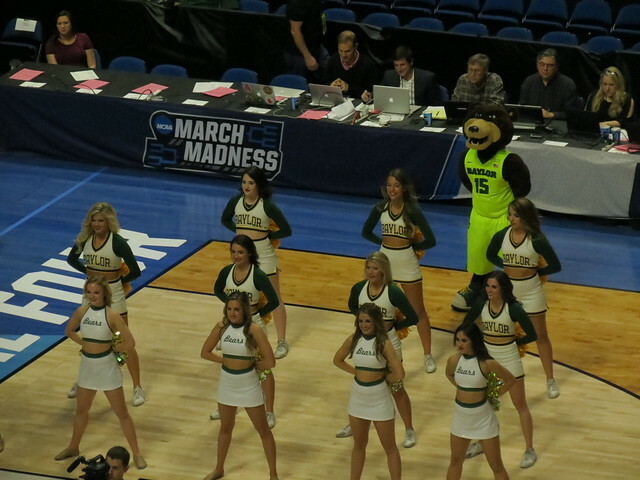 I would say the Baylor women were the best dancers, followed by the Michigan State ladies, and the USC cheerleaders. 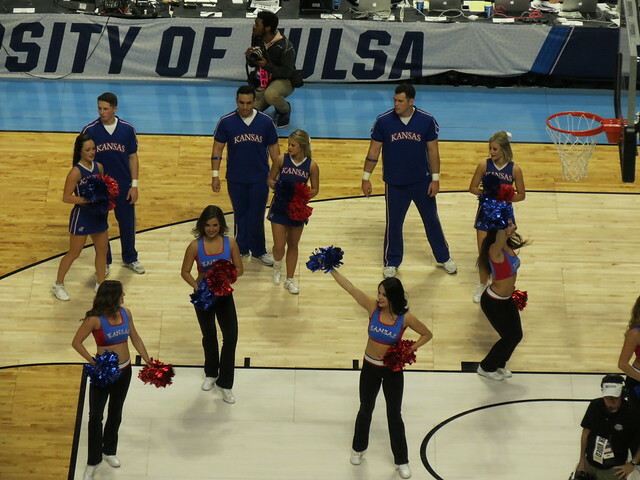 The Kansas cheerleaders did a great job but didn’t appear to be into dancing that much. (I know some overbearing Kansas fans also, and I need to give them some grief also.) Actually all the cheerleaders from all the teams did a great job. 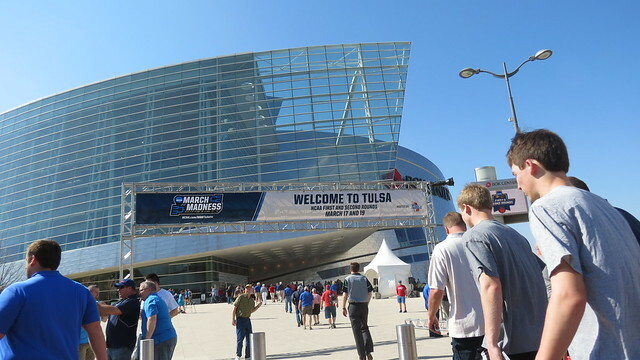 I had a great time and I’ll be back again when March Madness rolls back into Tulsa. 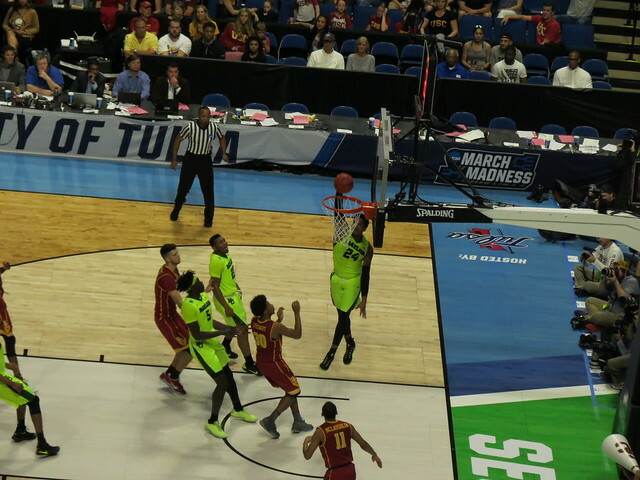 This entry was posted in Sports and tagged Basketball, Baylor Bears and Lady Bears, Big 12 Conference, BOK Center, Cheerleaders, Kansas Jayhawks, March Madness, NCAA Basketball, NCAA Men's Division I Basketball Tournament, Oklahoma, Sports, Tulsa on March 20, 2017 by Alan Bates.